The Logi Circle features an attractive design and is easy to install. The included battery means you can use the Logi Circle wirelessly. 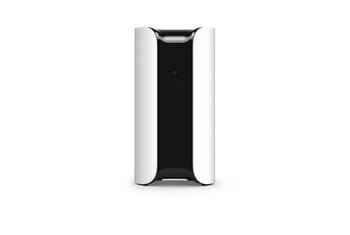 The two-way audio allows you to converse with someone who is near the camera. The battery lasts only a few hours when the camera is used wirelessly. The Logi Circle does not have a Web app, so it must be used with an Android or iOS device. 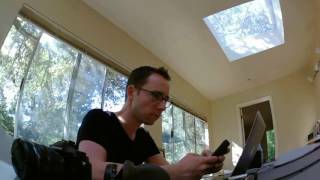 Video quality maxes out at 720p, and video is only saved for 24 hours. 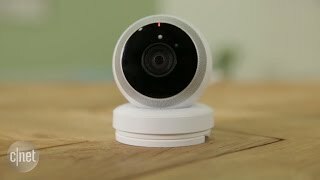 You may think that the purpose of a camera installed in your home is to keep it secure, but that’s not the primary idea behind the Logi Circle, a tennis-ball-like camera that can be mounted almost anywhere in your house. 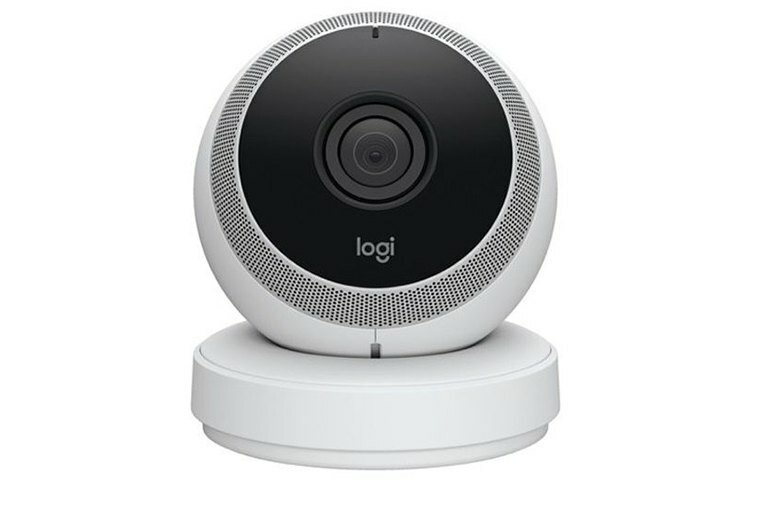 Yes, it detects motion and stores video (for up to 24 hours) so you can see what’s going on when you’re not there, but thanks to its two-way audio capabilities, the Circle is more for viewing and interacting with kids and pets who are home alone. 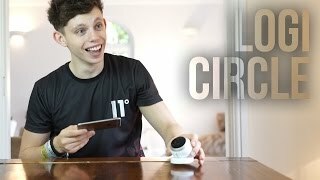 The Circle also works wirelessly, thanks to the included battery that allows it to be used for up to three hours off its base. 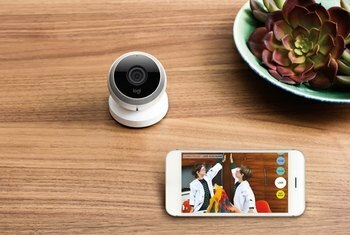 The Logi Circle is probably best viewed more as a fun social camera than as part of a home security system, and in that capacity it does a great job — it’s a useful way of staying in touch with pets and kids when you’re away from home, but it lacks any kind of integration with other home automation products. It reminds me less of something that, say, an airport would use, and more like one of those hilarious, killer robots from Portal. With no way to customize its behavior or save video longer than 24 hours, its $200 price tag feels too high for what you get. 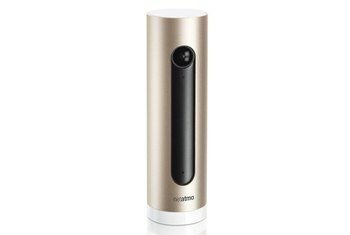 What you're left with is a watered-down webcam that can track what your pet does throughout the day, but little else. 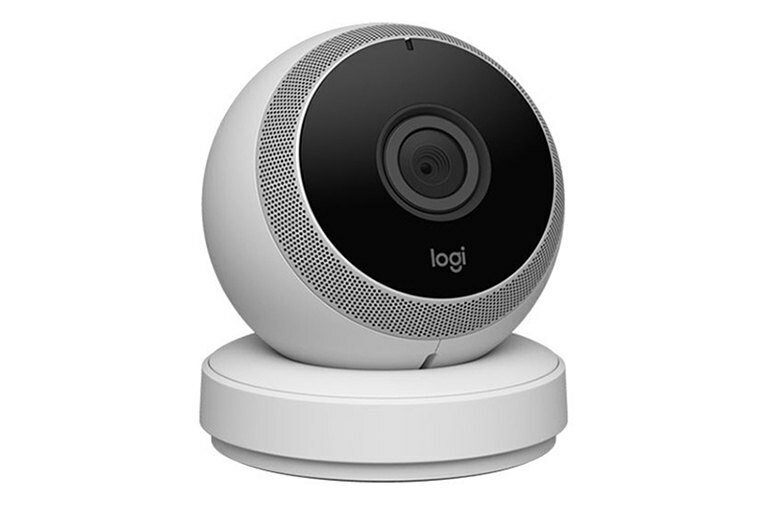 The Logi Circle is modern, cute and effective. It can capture a view from almost any angle you choose. 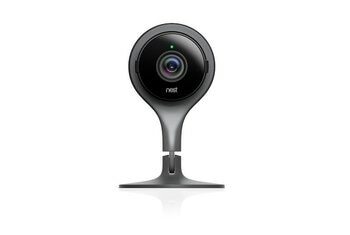 Not only does the camera provide peace of mind from a home-security perspective, it gives you the real-time opportunity to yell at intruders or tell your kitty you'll be home soon. its lightweight security features make it more suited for capturing precious moments than bad guys. 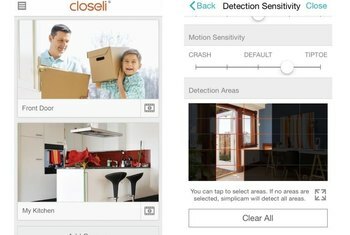 With two-way talk and audio, you can listen to what's going on in your home or speak through the camera to talk to children or pets. In my experience, the audio was clear and easy to understand from both ends. I can't emphasize how much of a differentiator wireless video streaming is. But the software is also where Circle falls a little short against its competition. There are no frills like facial recognition or temperature monitoring, both of which are offered by some of the competitors we tested last year. It doesn’t play with others. So it doesn’t protect my home or connect to my smart home. What’s the point? The microphones in the Circle are good enough to eavesdrop on the room it's placed in. But should you wish to chip in too there's a speaker built-in also, making it a two-way system. The magnet is strong - almost comically so. The Circle will happily cling to your fridge, and in fact I struggled to then remove the base-plate without scratching the metal, but it's also grippy enough to hold on in more precarious situations, like to curved doorhandles. After testing out the Circle for a few days, I was surprised by how polished the entire experience was.